Today’s Cashback News stories cover developments across the globe from Germany and the US to Malaysia, India and right across SE Asia. Innovative e-commerce incubator Rocket Group shifts its development and investment strategy including the sale of three of its leading Indian properties. TechInAsia highlights 53 technology startups worth investigating – an essential and up to the minute e-commerce and tech reference for Asia. Singapore-based Shopify is among the upstarts growing quickly and expanding in the SE Asia region. AT Kearney and the CIMB ASEAN Research Institute identify five important changes needed for e-commerce to succeed in SE Asia. Curious about e-commerce in Indonesia? TechInAsia profiles 28 popular online shopping sites. 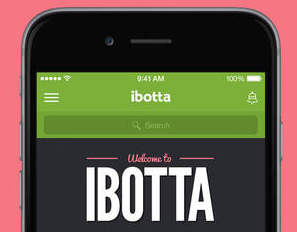 In the US, cashback app Ibotta raises $40 million with aggressive retail and grocery business growth plans. TechInAsia highlights 53 technology startups worth investigating. They cover a wide range of companies in e-commerce, retail, apartment rentals, transportation, crowdfunding, accounting, doctor bookings, groceries, job search, insurance, health, payment systems, Internet, technology, beating and much more. And these innovators are happening in every Asian market including Korea, Japan, Indonesia, India, Malaysia, Philippines, Vietnam, Thailand, China and other developing markets. SE Asia’s ecommerce industry remains nascent compared to other parts of the world. A recent study by research firm UBS found that only 0.2% of total retail sales in Southeast Asia took place online, while China clocked in at 8%. The relative newness of ecommerce in the region leaves a wide open space for ambitious startups and corporations. Rocket Internet has built a ecommerce mini-empire in Southeast Asia with its flagship Zalora and Lazada marketplaces. Elsewhere, lo-fi consumer-to-consumer marketplaces like OLX in the Philippines and Indonesia thrive. Global management consulting firm AT Kearney and the CIMB ASEAN Research Institute recently published a report about removing barriers in Southeast Asia’s ecommerce space. The firms argue that with the ASEAN Economic Community set to come into effect by the end of this year, online retail companies are poised to make a significant impact of the region’s economic development. Indonesian ecommerce is one of the most talked about spaces in Southeast Asia’s tech startup world. Players like Lippo Group, Rocket Internet, Sequoia Capital, SoftBank, and many others are taking the archipelago’s online retail business deadly serious. Logistics plays are now happening in Indonesia faster than locals can eat nasi padang. However, as online sales still account for less than 1% of the nation’s entire retail sector, Indonesia’s ecommerce space is set to see more growth and consolidation over the next decade. We pride ourselves on delivering cashback industry news you can use from around the world. Looking to expand your e-commerce or online business, investigating developing markets, wanting to keep an eye on innovators and new technologies, keeping pace with mobile and beacons were just looking for a bigger picture of a booming cashback industry? Subscribe to our daily (Monday – Friday) Cashback News highlights and blog editorials. We promise insight and cashback news you won’t find anywhere else.